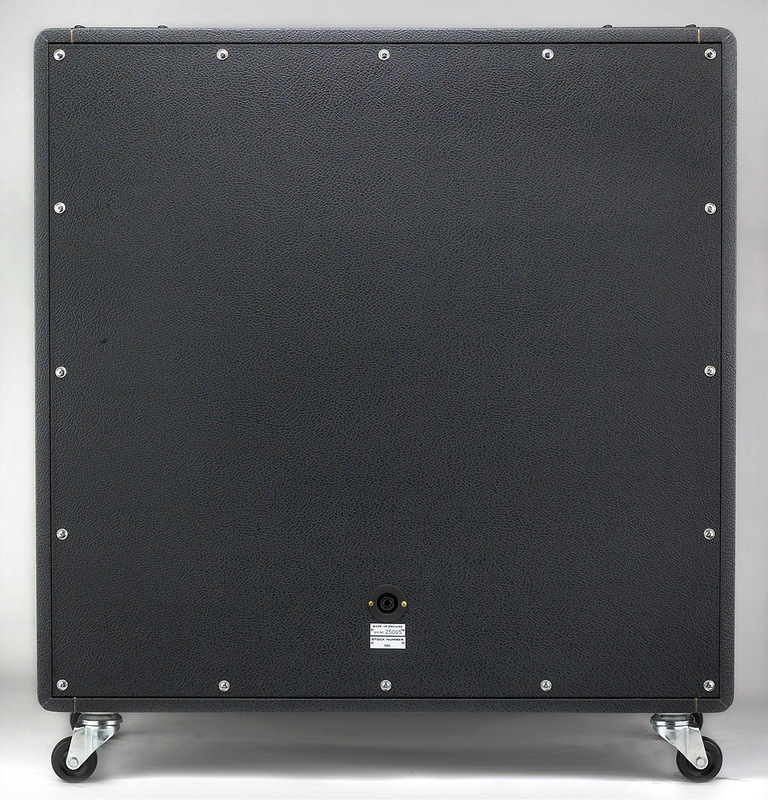 The Metropoulos 2-12 Slant Cab was designed specifically to compliment the Metro-Plex. 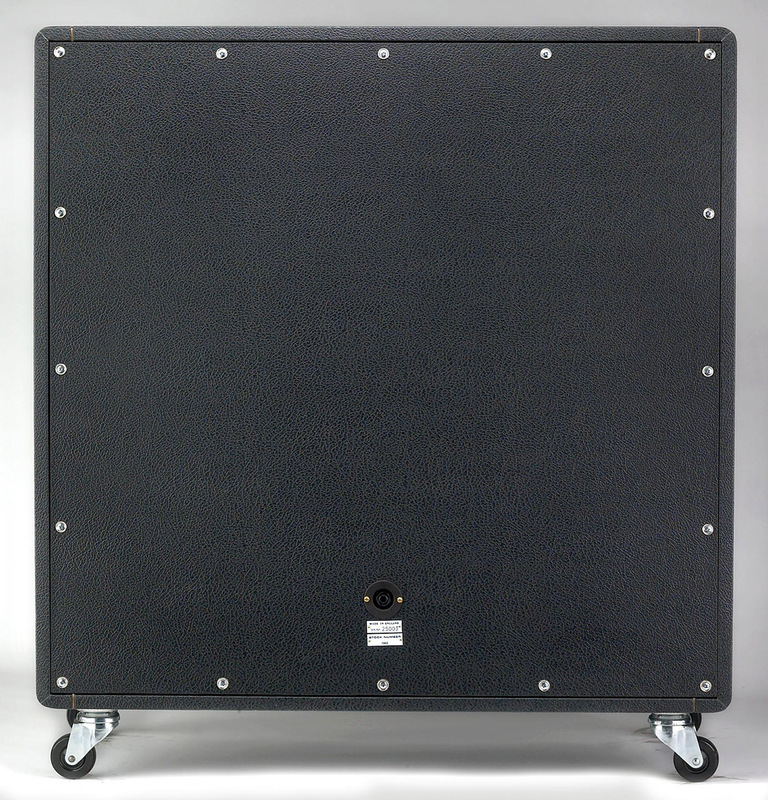 It's based on the same 3D CAD files as the Metropoulos True Replica 4-12 cabs. 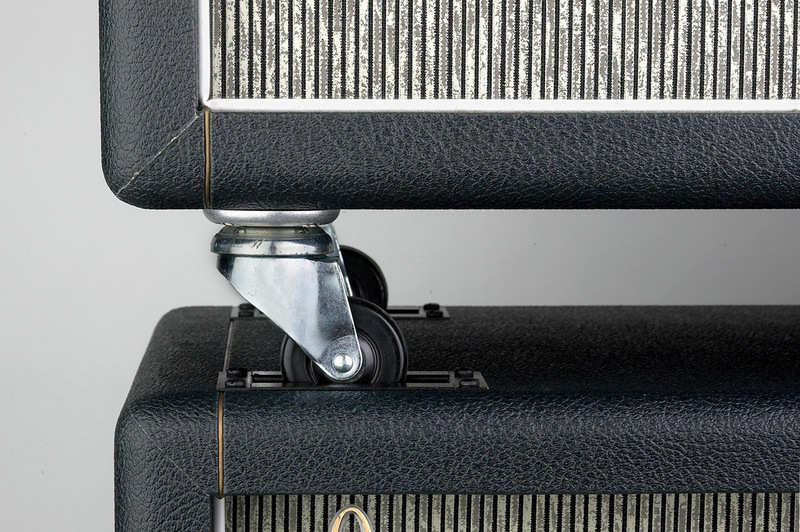 George Metropoulos virtually cut off the bottom of the '68 slant to make a tall 2-12 with vintage plexi tone and full resonant low end. 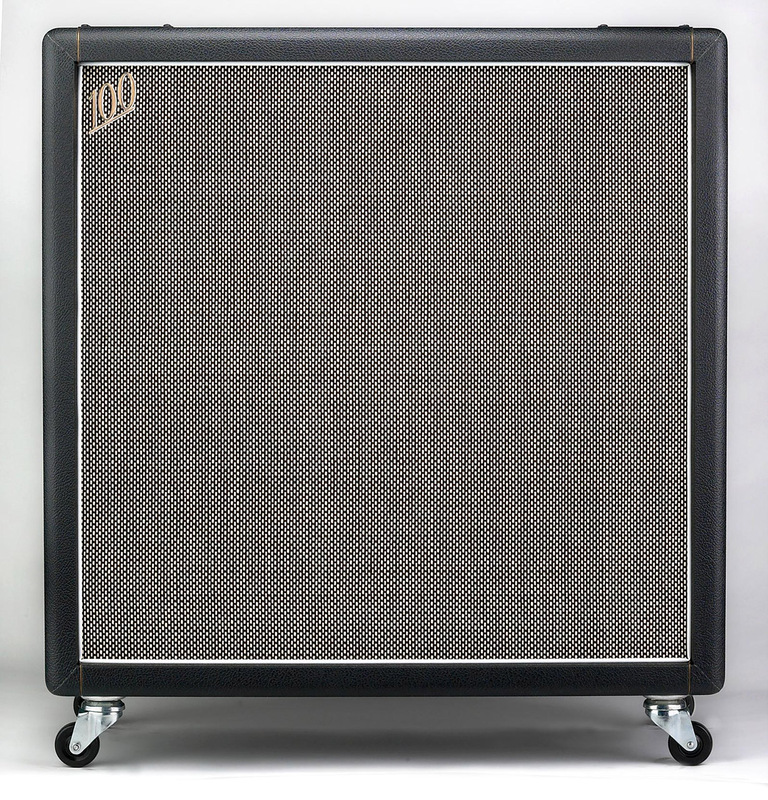 Gain practicality without sacrificing tone! 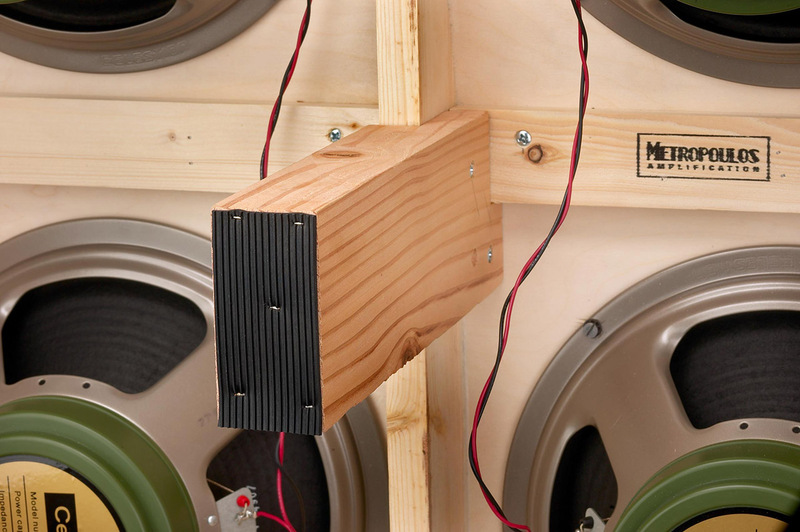 The 2-12 slant works great on its own or sitting on top of a 4-12 straight - forming a 3/4 stack! 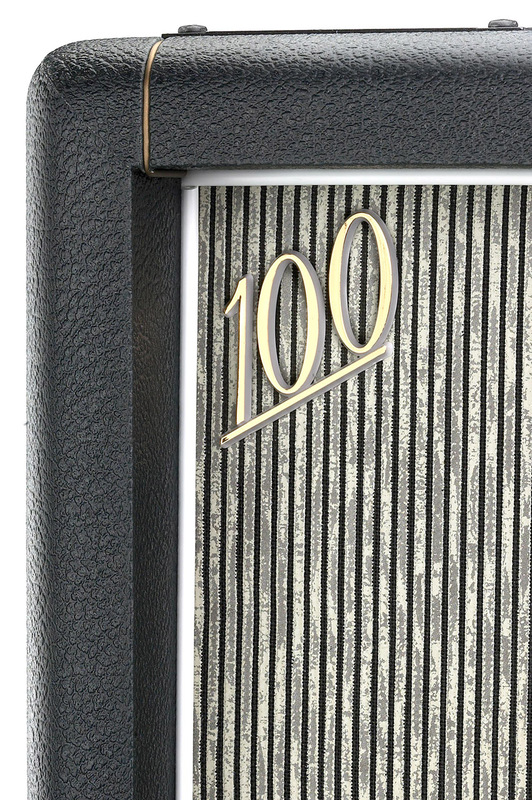 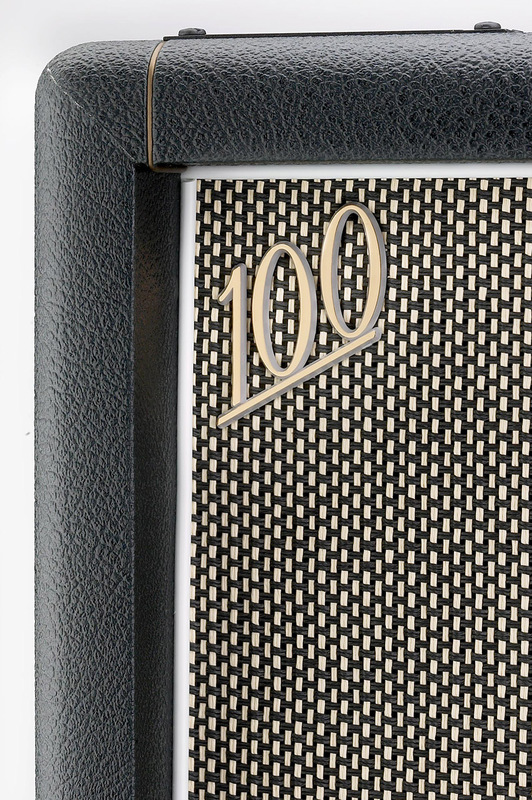 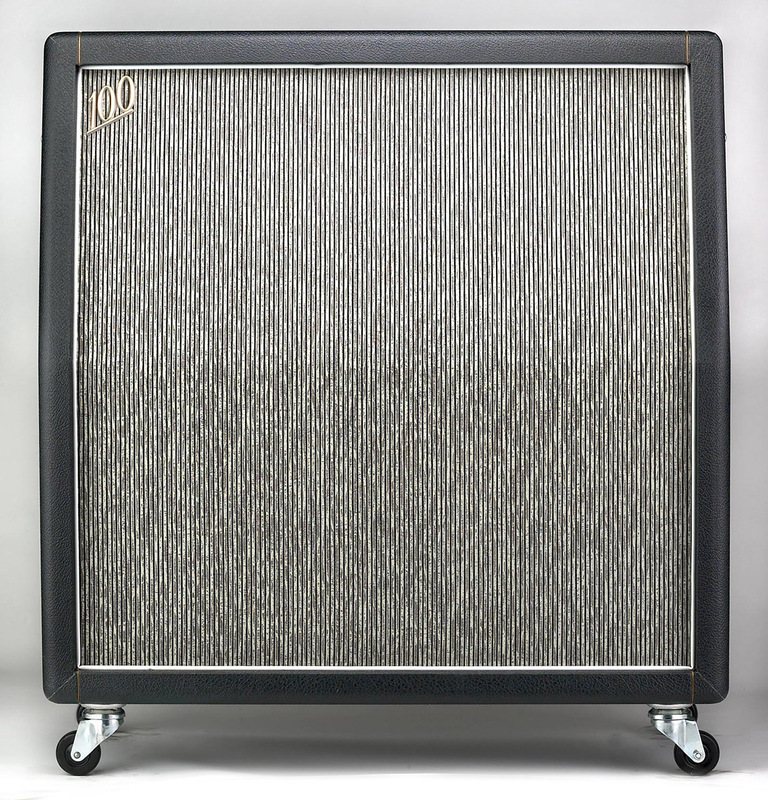 The 1967 Era True Replica Pinstripe Cabinets are contructed from our proprietary reverse engineering of vintage Marshall speaker cabinets. 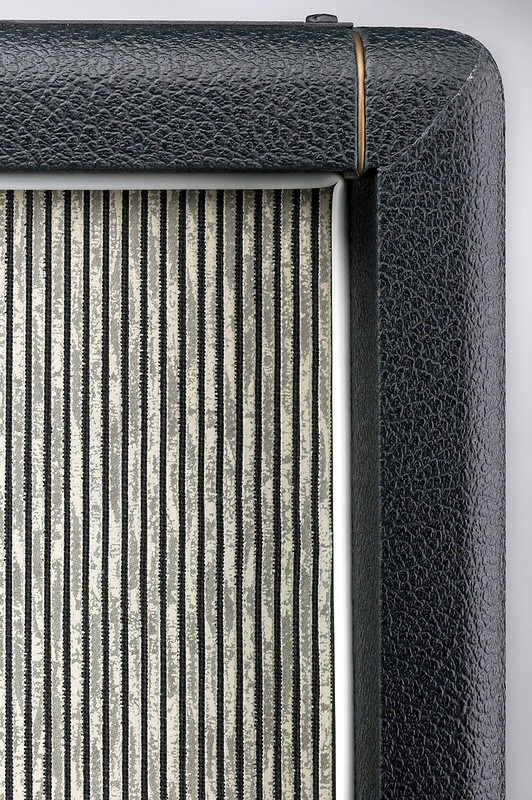 The addition of EC Collins' reproduction pinstripe grillcloth fabric completes the 1967 cosmetics. 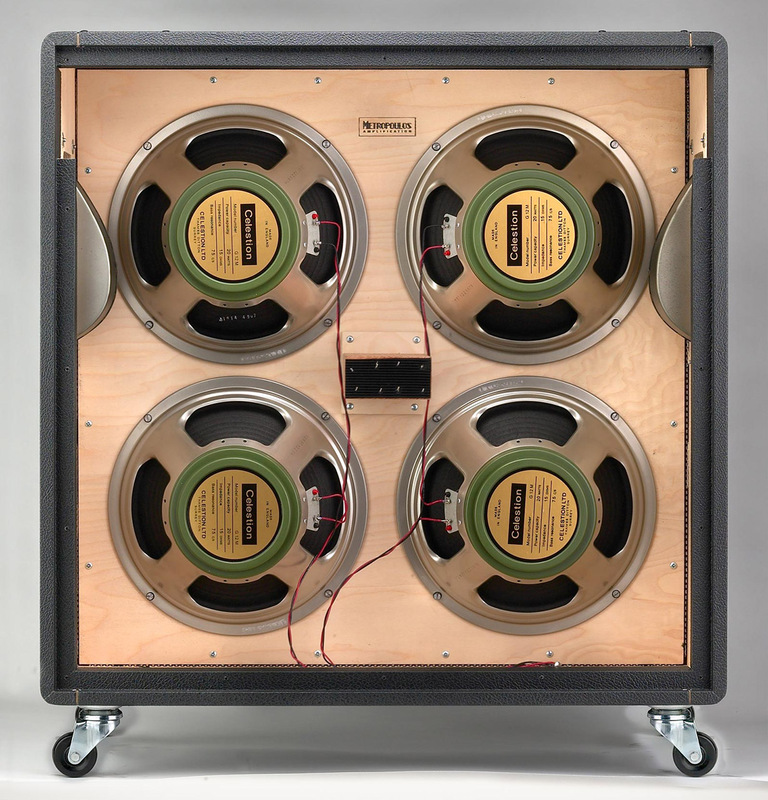 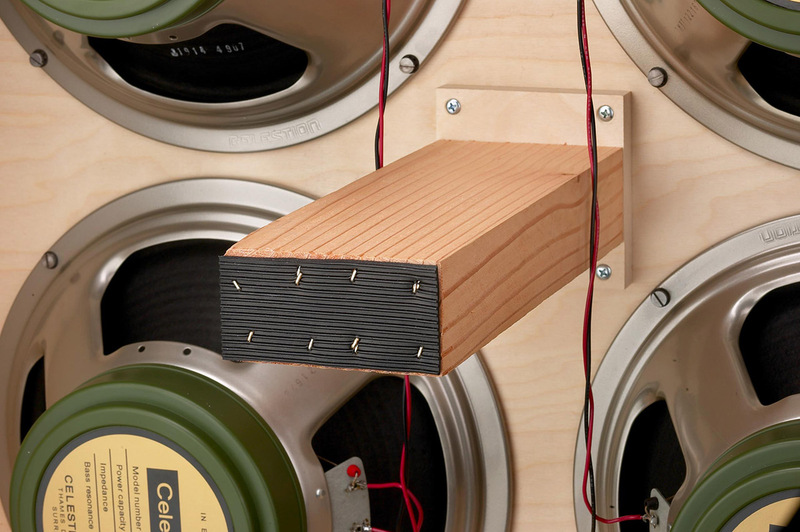 Cabinet structure, hardware, and parts are based entirely on a set of vintage 1968 Marshall straight and slant cabs. 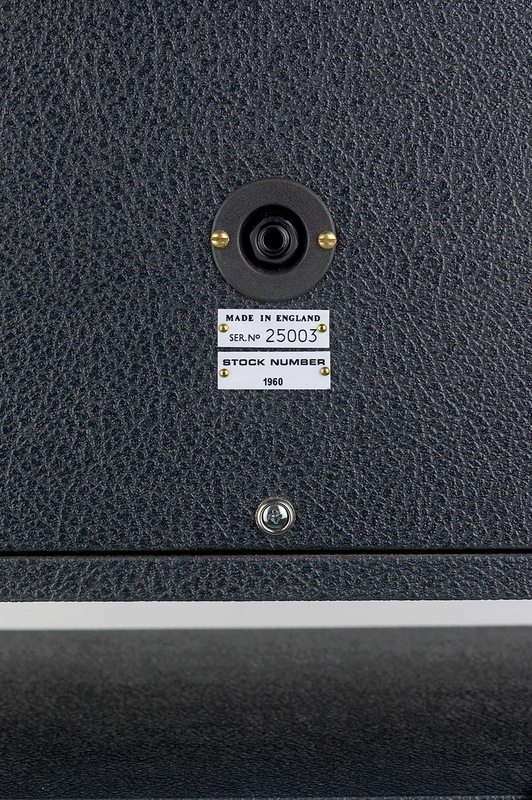 Precise measurements of every part of the vintage cabinets were converted to CNC plans that allow us to produce true replicas. 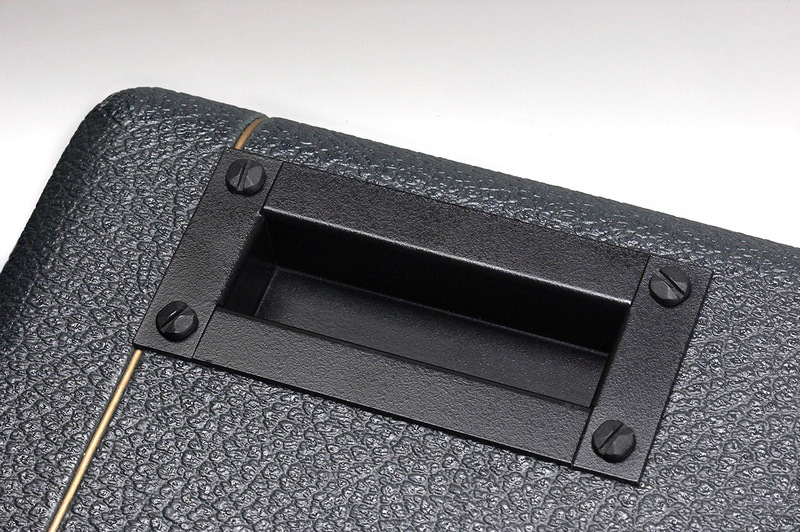 In addition, we fabricate our own proprietary cabinet hardware and metal parts. 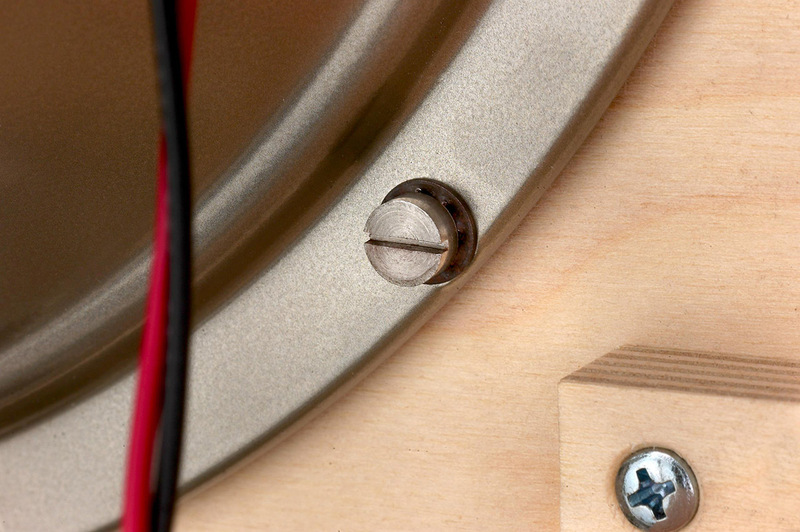 The process, hardware, and finished product are completely exclusive to Metropoulos True Replicas. 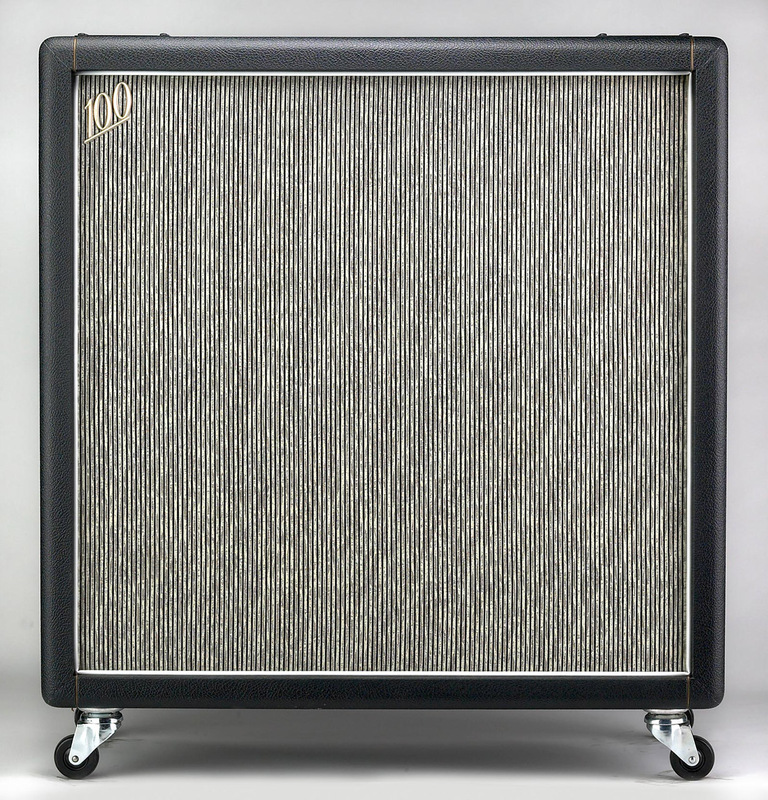 The 1968 Era True Replica Basketweave Cabinets are perfect replicas of a vintage 1968 Marshall straight and slant cab. 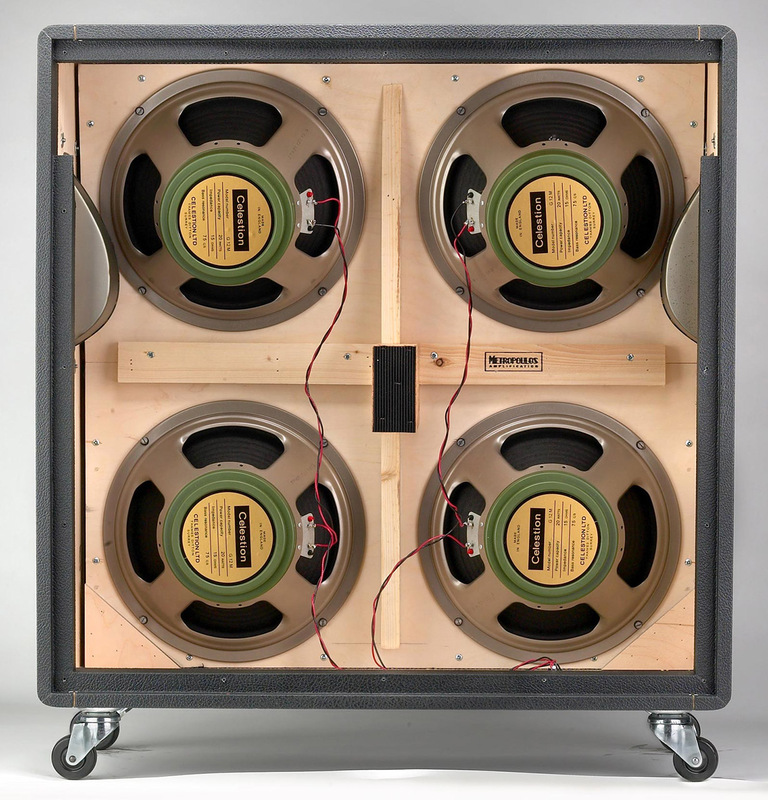 The vintage cabs were measured, documented, and reverse engineered to be reproduced using CNC machinery. 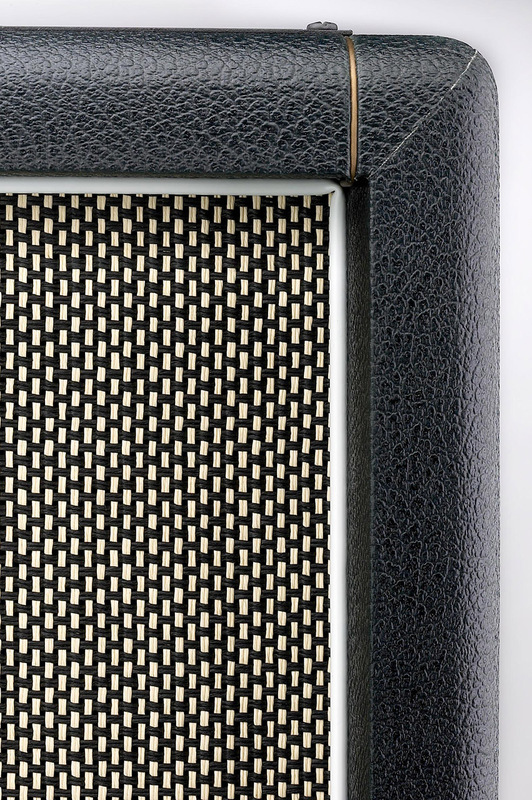 The dimensions and details of our replica are identical to the original. 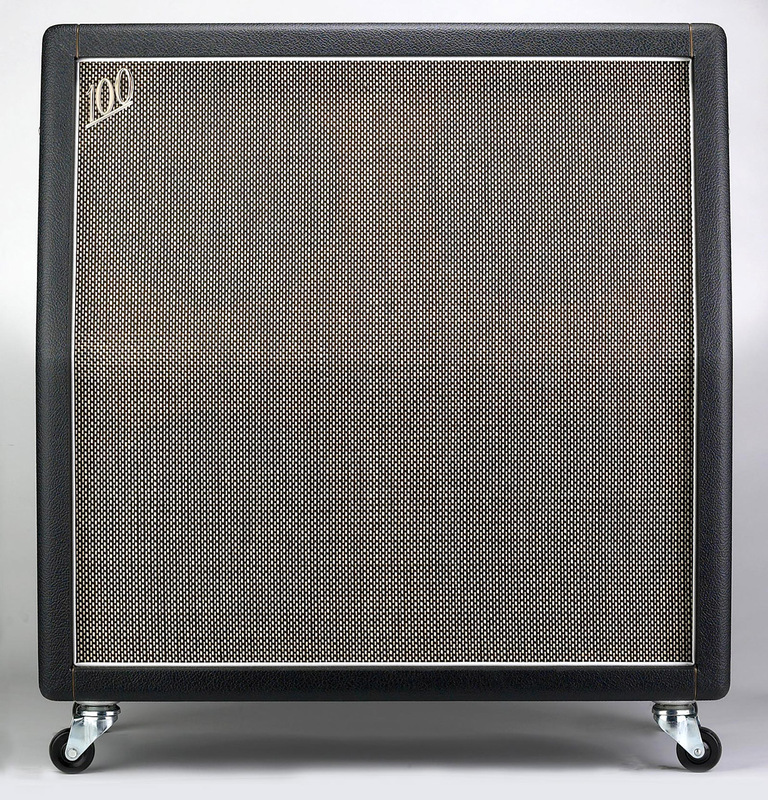 The 1968 Era cab features basketweave grill cloth cosmetics. 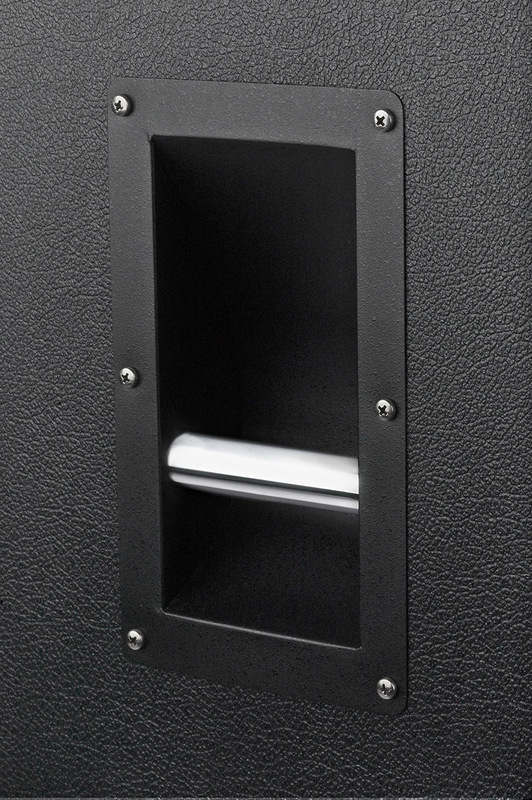 We custom fabricate our own hardware and metal parts just for these cabinets. 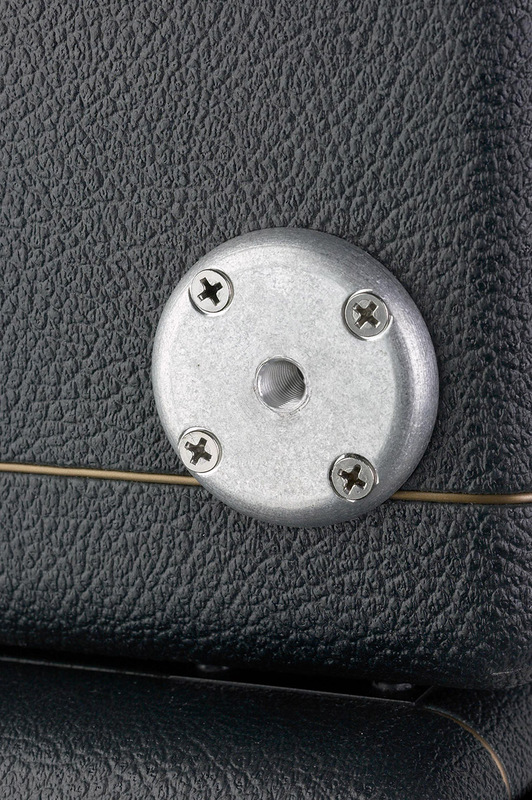 The process, hardware, and finished product are completely exclusive to Metropoulos True Replicas.